When buying a layer 3 capable 10GbE switch, we usually see product obviously described as owning multiple advanced features like MLAG, IPv4/IPv6 and sFLOW. But many people don’t know what they refer to. This article will focus on MLAG networking to illustrate what is MLAG, MLAG configuration advantages, and how to implement MC-LAG networking with Ethernet switch. Figure 1: S5800-48F4S 48 port SFP switch supports MC-LAG networking. MC-LAG networking is a networking type achieved by MC-LAG technology. MLAG (MC-LAG), abbreviation for Multi-Chassis Link Aggregation Group, is a new multi-device link aggregation technology for data center Ethernet switches. MLAG configuration centralizes constituent ports on separate chassis, mainly serves as reliable load functionality to increase bandwidth and provide redundancy in emergent breakdown of one of the device. MC-LAG networking is introduced by Arista in 2012. LAG is defined in the IEEE 802.1AX-2008 standard, where MC-LAG is not involved. Instead, MLAG implementations are vendor-specific. Say MC-LAG Juniper and mLACP Cisco. However, the combined chassis is still compliant to the IEEE 802.1AX-2008 standard. Why MLAG Configuration Is Superior? Rooted in LAG but not ceased to advance, MC-LAG adds node-level redundancy to the normal link-level redundancy. 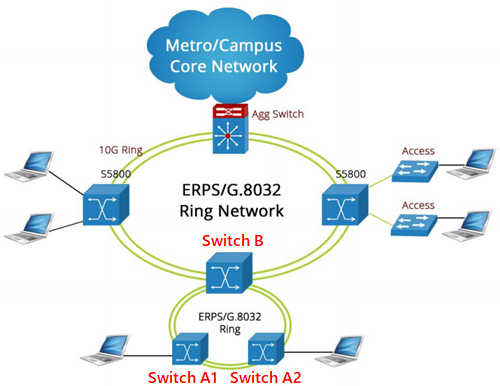 As thus MLAG networking enables more virtual switches to simultaneously share the same LAG endpoint. In this way bandwidth is expanded and redundancy is enhanced once again. Figure 2: A comparison of LAG networking vs MLAG networking configuration. What’s the significant difference between MLAG vs STP (Spanning Tree Protocol)? Generally MC-LAG HA (High Availability) configuration is superior to Spanning Tree. Counting the MLAG configuration crossing “X”, all links can share the load during normal operation. However, Spanning Tree must disable some links to achieve loop prevention. Figure 3: An illustration of HA MC-LAG implementation with multiple Ethernet switches link in data center three-layer architecture. How to Achieve MLAG Implementation with Ethernet Switch? To illustrate the MC-LAG configuration method, take S5800-48F4S 48 port managed gigabit SFP switch as example. This low latency layer2/3 Ethernet switch is designed as carrier access switch and caters for 10G link aggregation networks. With advanced feature including MC-LAG, MPLS, IPv4/IPv6, SFLOW, SNMP etc. supported, this 10GbE switch is ideal for MLAG networking. 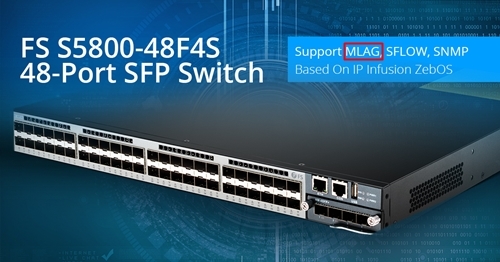 To implement MLAG, 4 10GE SFP+ ports on the 48 port switch can simultaneously be connected to multiple switches. 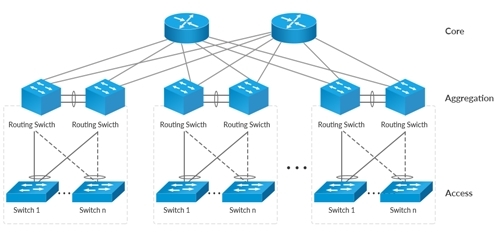 As the following figure shows, connecting S5800-48F4S switch A1 with A2, and then linking the virtual Switch A (switch A1 and A2 as a whole) with S5800-48F4S switch B, a simple LAG + MCLAG networking is implemented. To go further to MLAG + MLAG configuration, S5800-48F4S switch B can also be replaced by two linked switches switch B1 and B2. As thus 4 × 10GbE uplink bandwidth is achieved. Meanwhile more switches share the endpoint 10GbE bandwidth at the same time. Besides, node-level redundancy is added to link-level redundancy due to two nodes on one link. For instance, the switch A2 can function well while switch A1 fails. Figure 4: Deploying S5800-48F4S 48 port 10GbE switch for MC-LAG implementation. MC-LAG networking is superior over LAG technology due to node-level redundancy added to link-level redundancy. The HA MLAG configuration also surpasses spanning tree for no link drop is required in loop prevention. Buying 10GbE switch for MLAG implementation, S5800-48F4S SFP switch is a natural fit to go. And for cases where power cabling is unavailable for your PoE powered devices (PD), you can consider buying a gigabit PoE switch as access switch for you MLAG networking. With the thriving 100G market, QSFP28 has become the dominant form factor for 100G networks. The QSFP28 transceiver offers four channels of high-speed differential signals with data rates ranging from 25 Gbps up to potentially 40 Gbps, and meets 100 Gbps Ethernet (4×25 Gbps) and 100 Gbps 4X InfiniBand Enhanced Data Rate (EDR) requirements. As a world leader in IT and networking, Cisco 100G transceivers have been highly favored by many Ethernet users. Cisco 100G QSFP-100G-SM-SR and Cisco QSFP-100G-CWDM4-S are two different form factors of Cisco 100G optics. This article would give brief introduction to Cisco 100G QSFP-100G-SM-SR and Cisco QSFP-100G-CWDM4-S, and further analysis QSFP-100G-SM-SR Vs QSFP-100G-CWDM4-S. 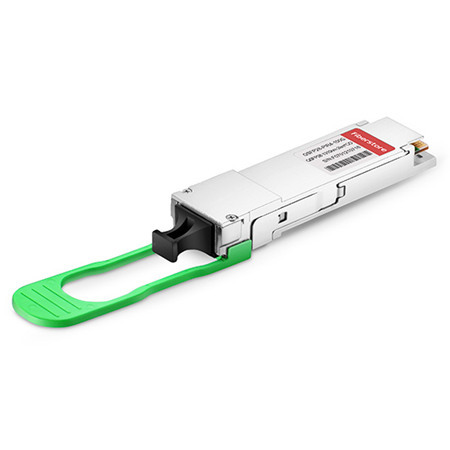 The maximum transmission distance of the Cisco QSFP-100G-SM-SR QSFP module is kilometers via a standard pair of G.652 singlemode fiber with duplex LC connectors. The 100 Gigabit Ethernet signal is carried over four wavelengths. Multiplexing and demultiplexing of the four wavelengths are managed within the device. The operating temperature range is from +10 to +60°C with an optical link budget of 4.2 decibels. This 4.2-decibel link budget offers the ability to support the loss from patch panels in the link in a data center environment. QSFP-100G-SM-SR is interoperable with QSFP-100G-CWDM4-S.
As same as Cisco 100G QSFP-100G-SM-SR, Cisco 100G QSFP-100G-CWDM4-S supports link lengths of up to 2 kilometers as well. The QSFP-100G-CWDM4-S optical transceiver is for singlemode fiber. There are 4 CWDM-WDM lanes in the 12761-1331-nm wavelength window. This 100GBASE QSFP-100G-CWDM4-S Cisco 100G transceiver converts 4 input channels of 25Gb/s electrical data to 4 channels of CWDM optical signals and then multiplexes them into a single channel for 100Gb/s optical transmission. It uses a duplex LC connector on the optical interface and uses an MSA-compliant 38-pin edge type connector on electrical interface. This QSFP-100G-CWDM4-S Cisco 100G transceiver is equivalent to Cisco QSFP-100G-SM-SR.
From the above descriptions, it is obvious that the Cisco QSFP-100G-SM-SR is compatible with Cisco QSFP-100G-CWDM4-S 100G optical transceivers. They are used interoperably. And thus, they have many things in common. Multiplexing and demultiplexing of the four wavelengths are managed within both Cisco 100G QSFP-100G-SM-SR Vs Cisco QSFP-100G-CWDM4-S. They convert 4 input channels of 25Gb/s electrical data to 4 channels of CWDM optical signals and then multiplexes them into a single channel for 100Gb/s optical transmission.They all use a standard pair of G.652singlemode fiber. The transmission reach of both Cisco 100G QSFP-100G-SM-SR and Cisco QSFP-100G-CWDM4-S all can be up to 2 kilometers. The original Cisco 100G QSFP-100G-SM-SR and Cisco QSFP-100G-CWDM4-S optical module is pricey, so nowadays many enterprises and data center workers would choose to buy Cisco compatible optical modules from third party vendor. For the price of QSFP-100G-SM-SR Vs QSFP-100G-CWDM4-S, they are identical at fs.com. At Amazon.com, the price is much higher. You can check them by clicking the following link. Through this article, we are clear that the QSFP-100G-SM-SR and QSFP-100G-CWDM4-S can be used interoperably. And they are totally identical at large extent. 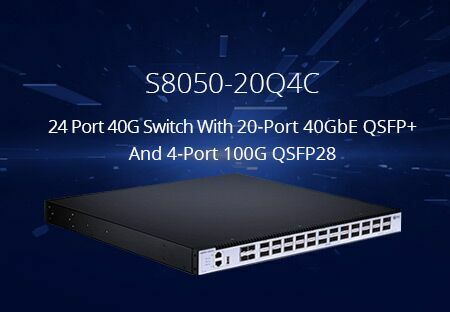 And thus, there are basically no difference on QSFP-100G-SM-SR Vs QSFP-100G-CWDM4-S. Nowadays, they have been applied to data center, high-performance computing networks, enterprise core and distribution layers, and service provider applications. With the ever growing usage of 10G network, 10G could not satisfy the requirement for some Ethernet network users who urge for a higher demand on speed, distance, media and cost. Under this circumstance, upgrading network is paramount. For 100G network upgrading, there are three available approaches, “10G—40G—100G”, “10G—25G—100G” or “10G—25G—50G—100G”. The latter two are announced to better satisfy the data center and cloud network. Comparing to 40G and 100G, people heard less about 25G and 50G. So what are they? This article would put emphasis on 25G Ethernet and 50G Ethernet as well as their optics. A single lane per physical port maximizes the number of connected servers or uplinks per switch. 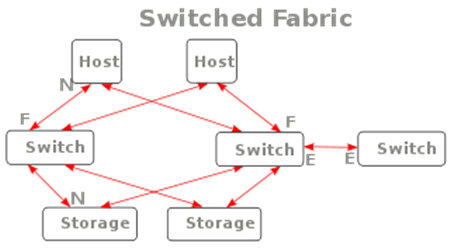 Single higher speed 25 Gb/s lanes maximize bandwidth and switch fabric utilization vs. 4 x 10 Gb/s lanes. Overall higher port count, utilization and total server interconnect bandwidth vs. 40 GE. Connections to switch ASICs is limited by SERDES count and bandwidth. A faster base signaling rate is needed to for higher capacity. Similar to 25 GE, 50 GE extends existing common network topology for higher speed. 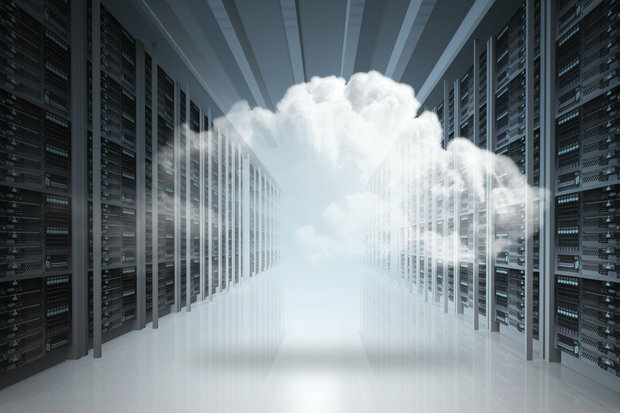 The server and data center market requirements vary widely. New 50 GE pluggable modules are in the same common form factor sizes as other common pluggable modules. There are two form factors of 50G modules, SFP56 and QSFP56. The SFP56 pluggable module has the same size as SFP, SFP+ and SFP28 while the QSFP56 pluggable module has the same size as QSFP, QSFP+ and QSFP28. Through this article, we are cleared the 25G and 50G Ethernet as well as their optics respectively. With the ever increasing usage of network data due to millions of new connected devices to servers and storages data centers, 25G Ethernet and 50G Ethernet provide a flexibility, scalibilty, cost-efficient way for adapting to future network growth. Maximizing scalability and optimizing performance are two paramount factors when you design or upgrade your network. It is hard to find the right balance. Given that you need more than 48 ports in a wiring closet, but you could not decide which type of switches to buy. Stacking switch or non-stacking switch? Or does a modular chassis switch solution make more sense? In this article, we would make a comparison between stacking and chassis access switches and guide you to make an appropriate decision. Over the years, stacking network switches have been highly favored by lots of Ethernet users and been a core component of an enterprise-grade switch. So what is reason for the popularity of stacking switches? 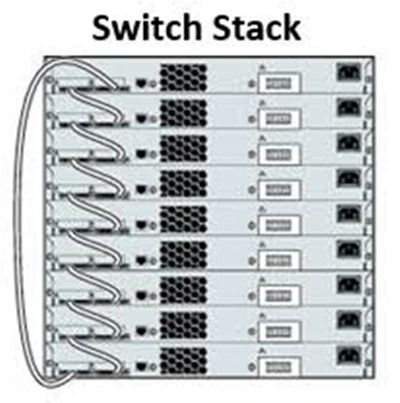 By using stacking switches, we can add ports as we need them by simply purchasing another switch and adding it to the stack. We can stack up to nine Cisco 3750-X switches and have 432 x 10/100/1000 ports and 18 x 10 Gbps ports. We can do this using only 9RU’s of rack space. A chassis would require over double the rack space to achieve this access port density. This makes these switches very popular as top-of-rack switches in the data center. Chassis devices, often being “premier” devices, may offer software and/or hardware features unavailable on a stack. They are the flagship models of every vendor’s switching line. In contrast to the fixed configuration switches, it is engineered to operate as single integrated system. Configuring high availability is simple and it works every single time. A failed line card will not bring down the entire chassis. Additionally, a chassis will drive consistency in deployment. Just as the same as the every comparison on the similar kits, the decision really depends on your actual requirements. Once we have this, finding the right hardware is very straightforward. It is important to balance the cost of acquisition versus the cost of operations and impact to the business due to outages. And that is what we always thinking about when we make a decision. In this article, we mainly provide the detailed information about stacking and chassis switches solutions, and offer you relatively enough information to help you to make a decision on choosing the best switching solutions for setting up or upgrading your network. There are too many variables to give a one-size-fits-all recommendation, but in general chassis Ethernet switches’ solutions are our preference. In addition, you should keep in mind that pricing should not be the focused too much. We can get both designs for a pretty reasonable price, regardless of requirements. If your network can benefit from both stackables and chassis, the chassis solution would be a good choice. Single Switch Vs. Multiple Switch: How to Select for Home Network? Network switches are indispensable part on setting up a home network. For home Gigabit Ethernet switches, both one large single switch and multiple switch are good options. Using one large switch, the speed of data transferring could be faster but the problem is you have to run multiple lines throughout the house. Using multiple switches at home maybe redundant at some extent. So how to choose? For choosing single large switch or multiple smaller switch applied to home network, it is not an easy question to answer. Because it involves various factors—size of the house, power consumption, fiber or copper, rack mount or not. 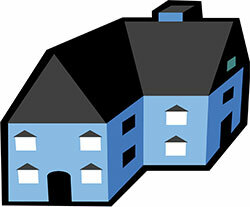 Besides, you still need to consider how dense each part of the house will have networking. And then, in terms of this topic, we did some researches on some professional forums to investigate and congregate thoughts. Most of them prefer to use one larger switch rather than multiple smaller switches for home networking. The reasons are described in the following part. By using a central switch you will have UPS protection, unless you have an UPS at each location of course. And using a larger switch instead of multiple smaller ones, just because you will end up using less power that way. By using multiple switches, just make sure you buy two in case of hardware failure, that is the downside of centralizing everything to one device. So in that way, you will cost more to make sure the work of the hardware. In the below statement, we would list some merits and demerits to further clarify the reason why it is better to choose one large single switch instead of multiple smaller switches for home network. A single switch will give you more security and better manageability, since it is centrally located. In case of a small building, it is feasible to have a single optical switch catering to everyone. But if the building is big, then due to distance limitation of fast Ethernet, it may not be possible for one switch to cater to all the users. In this case, you will have to go for multiple switch solution. One single switch will give you better performance than many switches. This is because in case of many switches, the inter-switch link is usually fast Ethernet or Gigabit Ethernet, but when you are using a single switch, switch backbone operates at much higher speeds. So we can infer that if you have a small network, then you can start with single switch, and then as the network grows, you can migrate to multiple switch scenario. But if you are planning for a single switch situation, please think about a backup for this switch (either automatic failover or manual failover), so that in case of failure you can switch to the backup. First of all, using multiple switches dispatched in the different places is some sort of complexity. You need to connect all of them through some paths. And then, power consumption is also a big trouble. Using multiple switches inevitably brought much more power consumption than single switches. Besides, using multiple or redundant switch is common for security specially IP camera. If one of the switch breaks, then your other camera is still accessible. Then you have the distance limitation, which if this is the case, then you don’t have a choice but to implement more switch. According to the above description and analysis, we can draw a conclusion that using a single large network switches are better than using multiple smaller switches for home networking in most cases. But if you own an extremely larger house to meet your network requirement, and then multiple smaller switches would be good options. 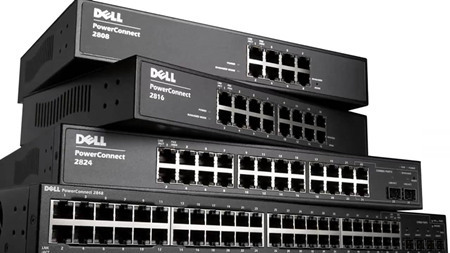 Both the Dell PowerConnect 2700 series and 2800 series switches are secure, fixed-port Gigabit switches. The Dell PowerConnect 2700 series was launched in the early 2000s, designed to deliver full wire-speed switching performance. Not long after the 2700 series, the 2800 series were released to support jumbo frames for networks that need to move large files across the network. They are both cost-effective solutions for small network environments, such as branch offices, schools and etc. However, it seems that it is hard to make a decision about purchasing these two series switches. This article would offer a satisfied solution to you and give a brief introduction to 2700 series and 2800 series switches. There switches are prepared in advance for any elevated IT requirements. They could eliminate the potential risks within the switch. The 2700 series switches provide the flexibility to meet the requirement of various end users and applications environments. They provide smartly balancing quality and the best prices. 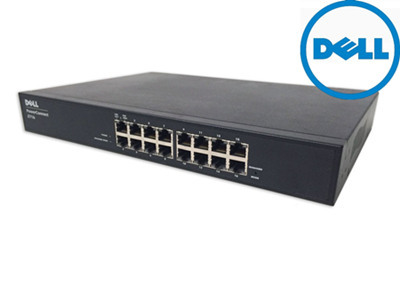 As same as the 2700 Series Switch, Dell PowerConnect 2800 Series Switches are also web-managed Gigabit Ethernet switches. 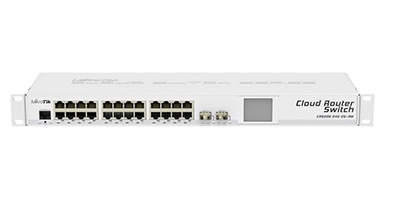 These switches offer four port densities, including 8, 16 , 24, and 48 port Gigabit Ethernet ports. In addition, the 2824 and 2848 have SFP slots in a combo port arrangement that deliver fiber capabilities (SFP transceivers optional). The PowerConnect 2800 family also supports jumbo frames for networks that need to move large files across the network. There are also four switch models of 2800 series switches—Dell PowerConnect 2808, 2816, 2824, and 2848. Main benefits of 2800 series switches are listed in the following. Easy web access to the managed features provides a secure environment by offering password restricted access. These switches offer enhanced security by allowing the user to specify which IP addresses have access to the switch. 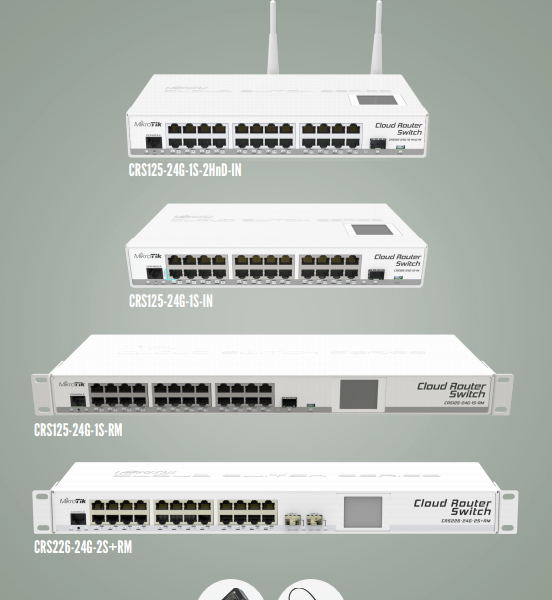 The 2800 series switches support up to six link aggregation groups consisting of up to four ports per group. Advanced cable diagnostics help improve network troubleshooting. 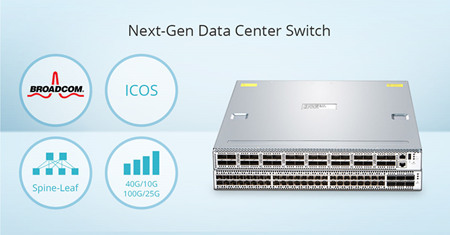 As being described, the Dell PowerConnect 2700 and 2800 series switches are nearly identical. But they still have some subtle differences in STP, management configuration, switching and price. 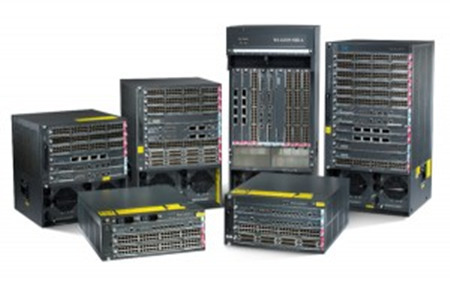 Compared to Dell PowerConnect 2700 series switches, 2800 series support more STP protocols and support 9000 jumbo frames (not not 9014, etc.). If you do a ping -f on the 2724 with jumbo frames enabled it will go to 5000, 5500, 6000, but not 9000 – they get fragmented at that point. Granted that is only useful for iSCSI traffic, and even then it’s not 100% necessary. And the 9014+ jumbo frames is of the preference. Both 2700 and 2800 series switches are small office switches with minimal management. They all not have LACP. BootP/DHCP IP address management or Static IP address assignment are set within the 2800 series switches. The 2800 series switches have CLI and SNMP Command Subset while the 2700 series switches do not. The link aggregation of both two series switches are up to eight aggregated links and up to eight member ports per aggregated link (IEEE 802.3ad). But the Jumbo frame of 2700 series switches support up to 9000 Bytes (2716, 2724, and 2748). The 2800 series switches have LACP support (IEEE 802.3ad). 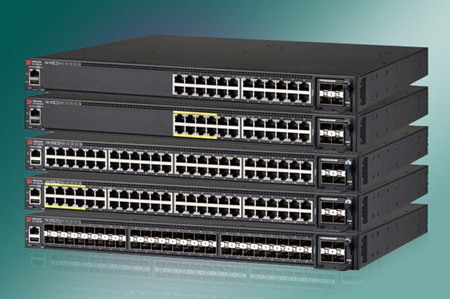 Compared to 2700 series switches, 2800 series switches are cheaper. Just take the same 16-port switch for a example, a new Dell 2816 switch only needs $56 while a new Dell 2716 switch costs $112 on eBay. Through this article, we are clear about the Dell 2700 and 2800 series Gigabit Ethernet switches as well as their differences in STP, management configuration, switching and price. They all powerful switches with outstanding cost and power savings. You can select an appropriate one according to your need. Do You Know the Difference Between Hub, Switch & Router? When computers, network devices or other networks are required to be connected, hubs, network switches and routers are the bridges to link them together. All the three types of devices can perform the same function, and technicians sometimes may use the terms interchangeably. However, this will make people confuse whether they are the same thing or different from each other. This post is going to explore the actual meanings of hub, switch, router and what they are used for. A hub is to sent out a message from one port to other ports. For example, if there are three computers of A, B, C, the message sent by a hub for computer A will also come to the other computers. But only computer A will respond and the response will also go out to every other port on the hub. Therefore, all the computers can receive the message and computers themselves need to decide whether to accept the message. A switch is able to handle the data and knows the specific addresses to send the message. It can decide which computer is the message intended for and send the message directly to the right computer. The efficiency of switch has been greatly improved, thus providing a faster network speed. Router is actually a small computer that can be programmed to handle and route the network traffic. It usually connects at least two networks together, such as two LANs, two WANs or a LAN and its ISP network. Routers can calculate the best route for sending data and communicate with each other by protocols. A hub works on the physical layer (Layer 1) of OSI model while Switch works on the data link layer (Layer 2). Switch is more efficient than the hub. A switch can join multiple computers within one LAN, and a hub just connects multiple Ethernet devices together as a single segment. Switch is smarter than hub to determine the target of the forwarding data. Since switch has a higher performance, its cost will also become more expensive. In the OSI model, router is working on a higher level of network layer (Layer 3) than switch. 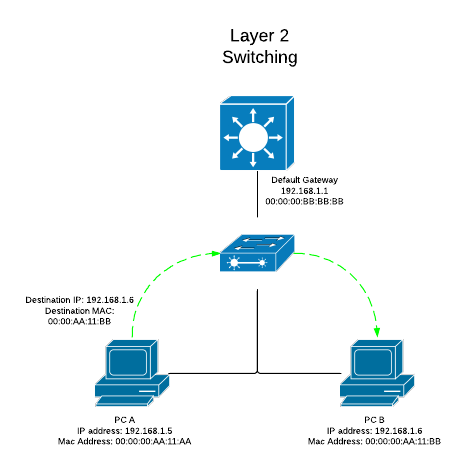 Router is very different from the switch because it is for routing packet to other networks. It is also more intelligent and sophisticated to serve as an intermediate destination to connect multiple area networks together. A switch is only used for wired network, yet a router can also link with the wireless network. With much more functions, a router definitely costs higher than a switch. As mentioned above, a hub only contains the basic function of a switch. Hence, differences between hub and router are even bigger. For instance, hub is a passive device without software while router is a networking device, and data transmission form in hub is in electrical signal or bits while in router it is in form of packet. Whatever device you use for your network, you must make sure it can perform all the functions required by the network. As for performance, wireless router is recommended because it allows different devices to connect to the network. If you have a limited budget, switch is a good solution with relatively high performance and lower cost. Although sometimes specialists alternatively use hub, switch or router to describe these devices, they still have their own differences. Understanding their distinctions can be helpful to find the most appropriate device for your network. How Will SDN Change the Future Network? Traditional networks are usually built with tiers of Ethernet switches in a tree structure. 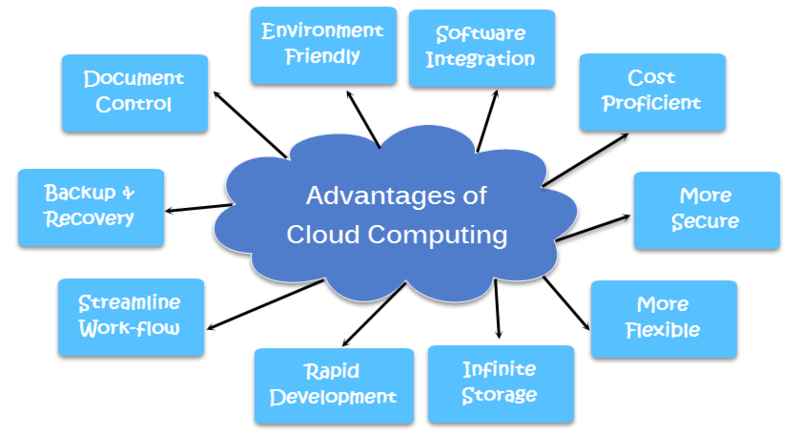 However, the development of mobile devices, server virtualization and cloud computing service has driven the need for dynamic computing and storage in data centers. Thus, the concept of software-defined networking (SDN) was put forward to construct a more flexible and agile network. This technology has widely caught people’s attention in the industry over the years. In this post, some basic knowledge about SDN will be introduced to help you have better understanding. SDN is a developing network architecture that aims to directly program the network computing. Through the open interfaces and abstraction of lower-level functionality, this approach allows the network administrators to programmatically initialize, control, change and manage network behavior dynamically. 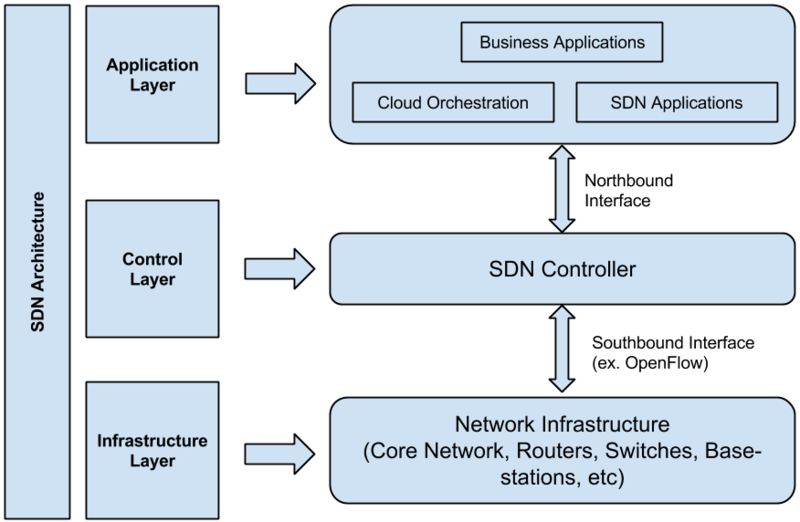 SDN is different from the traditional network architecture whose network devices are based on both control plane and data plane. Instead, SDN puts the control plane on the SDN controller to communicate with a physical or virtual switch data plane through the OpenFlow protocol. Instantly programmable: Network control is directly programmable for it is decoupled from forwarding functions. Agile: Administrators can dynamically adjust network-wide traffic flow to meet changing needs. Centralized management: Network intelligence is centralized in SDN controllers that maintain a global view of the network. Programmatically configured: Network managers can configure, manage, secure, and optimize network resources very quickly by dynamic, automated SDN programs. Open standards-based and vendor-neutral: SDN simplifies network design and operation since instructions are provided by SDN controllers instead of multiple, vendor-specific devices and protocols. 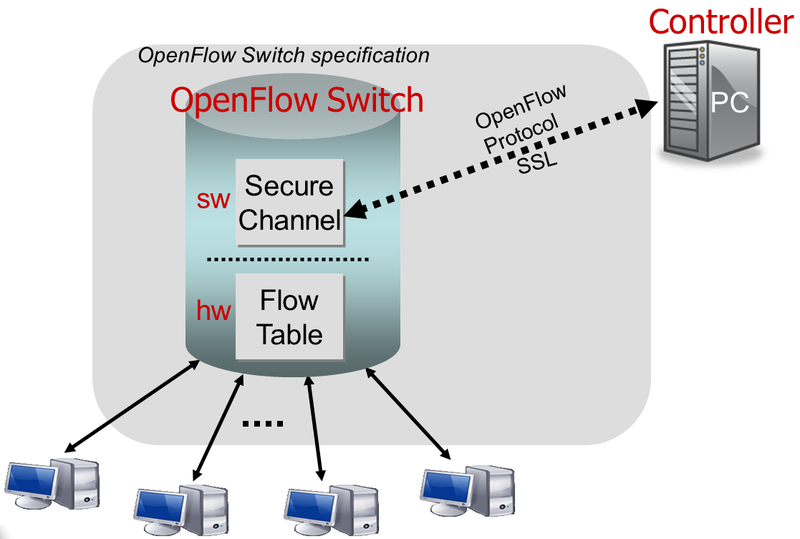 OpenFlow is a type of communication protocol that provides access to the forwarding plane of a network switch or router over the network. It is considered to be the first SDN standard, which enables network controllers to determine the path of network packets across a network of switches. In order to work in an OpenFlow environment, all the equipment should support the OpenFlow protocol to communicate to an SDN controller. What Benefits Will OpenFlow-Based SDN Bring to Network? Point 1, SDN controller can get centralized control of OpenFlow-enabled devices from any vendors instead of managing the devices from different vendors separately. Point 2, OpenFlow-based SDN provides a flexible network automation and management architecture, and can develop a variety of automated network management tools to replace the current manual operation which greatly reduces the complexity. Point 3, SDN increases higher rates of business innovation and allows IT network operators to meet specific business needs and variable user needs in real time by explicitly programming or reprogramming the network. Point 4, SDN enables IT to define the configuration network and develop management policies at a higher level and distributes the information to the network infrastructure through OpenFlow, which has increased the network reliability and security. Point 5, OpenFlow’s flow control model allows IT to deploy network policies at a granular level which is a higher abstraction and automated deployment level including session-level, user-level, device-level and application-level. Point 6, through centralized network control and network application status information, SDN can provide better dynamic user experience. Future network will depend on more and more software to accelerate the pace of network innovation. SDN is committed to changing the current static network into a dynamic and programmable one. With so many advantages and industrial potentiality, SDN will definitely become the new standard of future network. When setting up the wireless router at home, you may notice that there are different ports at the back of router noted with LAN or WAN. If you are totally new to this, then understanding the differences between LAN and WAN technologies is fairly important. This article will solve your confusion about these network terms. LAN is the abbreviation of local area network. 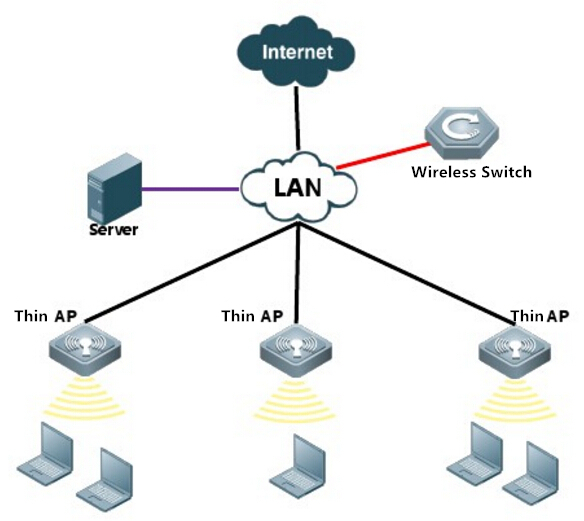 As a simple and original network, LAN is widely used in different kinds of places for short range computer connections. It is a computer network built within a restricted area. LAN network has its own network devices and local interconnections. Applications of LAN can always be found in the residence, school, laboratory, university campus or office. All the computers are linked in the same general location. A local area network is considered to be private and maintained by a single group of people. WAN refers to wide area network. It is a computer network with a large geographical coverage. The essence of WAN is to allow a network to be carried out without the limitation of location. The Internet that we use every day is a good example of WAN network. As its name suggests, WAN is very wide that can across a town, a region, a country or even the whole world. It is often used by business and government agencies to make strong network communication among employees, clients, supplier and buyers from various parts of the world. Here are some major differences between LAN and WAN computer networks. 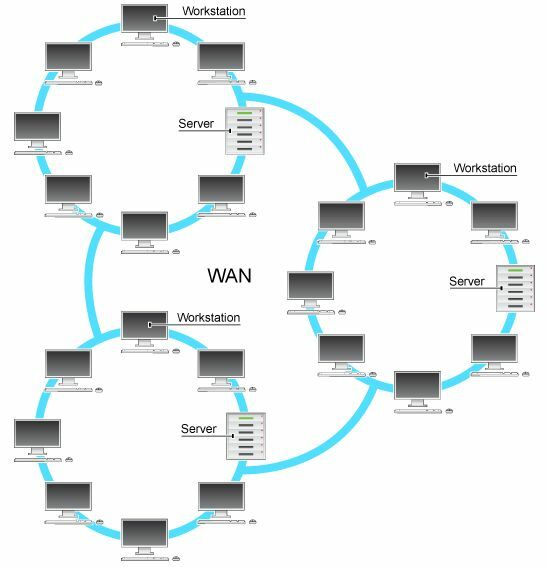 Point 1, cover ranges of LAN and WAN networks are different. 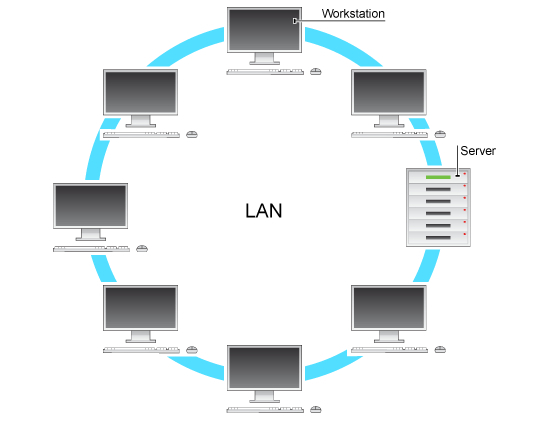 LAN connects computers in a small physical area, while WAN connects larger areas situated in different geographical locations. Point 2, network speeds of LAN and WAN are varied. WAN is typically slower than LAN due to the distance data must travel. The maximum speed of LAN is 1000 Mbps while WAN can only reach 150 Mbps. Point 3, as for the security level, LAN seems to be better than WAN. Because WAN involves more people into the interconnection, there is a greater possibility of network issues. Point 4, due to the smaller network coverage, setup and maintenance costs for LAN are usually lower than WAN. Apart from the common LAN and WAN computer networks, there are also many other types. WLAN: wireless local area network is a type of LAN that uses wireless technology to connect computers or devices to the router. MAN: metropolitan area network is larger than LAN and smaller than WAN to connect nodes located in the same metro area. SAN: storage area network provides access to consolidated, block level data storage. It does not rely on a LAN or WAN. VPN: virtual private network help users to access a private network remotely through a virtual point-to-point connection. EPN:enterprise private network is a computer network built by a business to interconnect its various locations to share computer resources. PAN:personal area network is the smallest and most basic network for data transmission among personal devices. LAN and WAN are the most widely used computer networks in today’s world. Both of them have their own advantages and disadvantages. When you are confused about which network to set up, network distance is a good aspect to consider. Although LAN has many benefits, you still need to choose WAN when it comes to large areas networking. Layer 2, Layer 3 & Layer 4 Switch: What’s the Difference? Network switches are always seen in data centers for data transmission. Many technical terms are used with the switches. Have you ever noticed that they are often described as Layer 2, Layer 3 or even Layer 4 switch? What are the differences among these technologies? Which layer is better for deployment? Let’s explore the answers through this post. Switch is used for linking the network devices together and switching the data from one port to another based on information from the packets being transmitted. The information complies with the OSI (Open Systems Interconnection) seven-layer model to ensure product interoperability. OSI model is a conceptual model that characterizes and standardizes the communication functions of a telecommunication or computing system without regard to their underlying internal structure and technology. Therefore, switches working on different layers of OSI model are described as Lay 2, Layer 3 or Layer 4 switch. Layer 2 is also known as the data link layer. It is the second layer of OSI model. This layer transfers data between adjacent network nodes in a WAN or between nodes on the same LAN segment. It is a way to transfer data between network entities and detect or correct errors happened in the physical layer. Layer 2 switching uses the local and permanent MAC (Media Access Control) address to send data around a local area on a switch. Layer 3 is the network layer in the OSI model for computer networking. 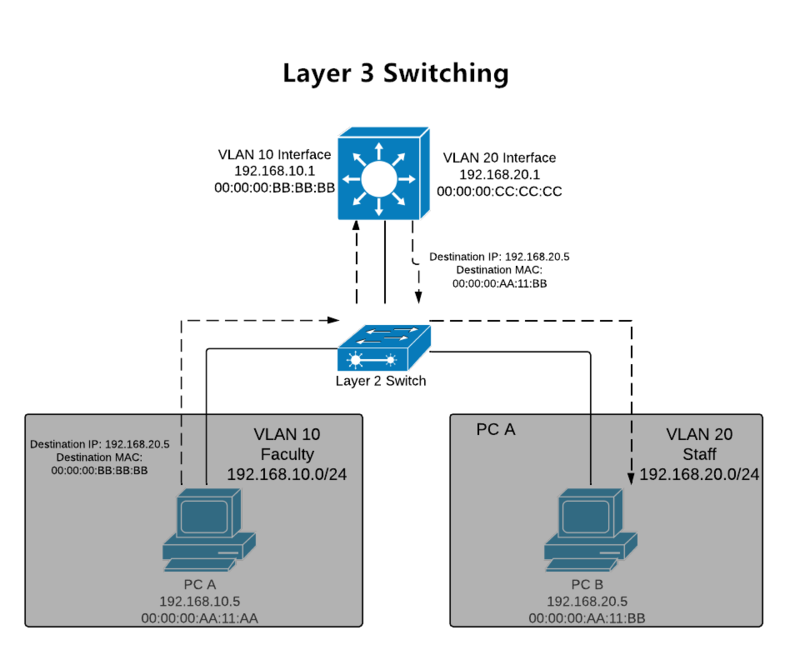 Layer 3 switches are the fast routers for Layer 3 forwarding in hardware. It provides the approach to transfer variable-length data sequences from a source to a destination host through one or more networks. Layer 3 switching uses the IP (Internet Protocol) address to send information between extensive networks. IP address shows the virtual address in the physical world which resembles the means that your mailing address tells a mail carrier how to find you. As the middle layer of OSI model, Layer 4 is the transport layer. This layer provides several services including connection-oriented data stream support, reliability, flow control, and multiplexing. Layer 4 uses the protocol of TCP (Transmission Control Protocol) and UDP (User Datagram Protocol) which include the port number information in the header to identify the application of the packet. It is especially useful for dealing with network traffic since many applications adopt designated ports. As for small networks, Layer 2 switches might be a good option. However, most networks will combine the Lay 2 and Layer 3 switches. Layer 3 is more intelligent and provides all the functionality of Lay 2 networks. Therefore, Layer 2 switches are used to provide cheap and easy connectivity to workgroups and Layer 3 switches are used to enable departmental networks to be segmented and controlled with no loss of bandwidth. Likewise, Layer 4 switch contains all the features of Layer 3 switch and some additional functions. 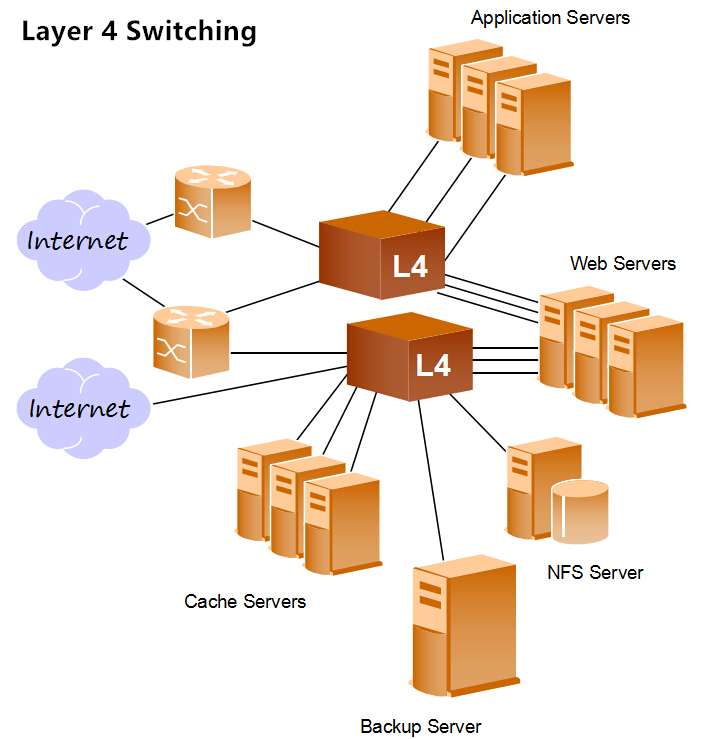 Layer 4 switch is the enhanced version to provide higher class of service for controlling the network traffic. With the development of technologies, the intelligence of switches are continuously progressing on different layers of the network. The mix application of different layer switches (Layer 2, Layer 3 and Layer 4 switch) is a more cost-effective solution for big data centers. Understanding these switching layers can help you make better decisions. With the rapid development of Ethernet network, cables are widely adopted for wired network connectivity. However, this may also lead to the problem of cable mess when large quantities of cables are deployed. In order to solve this issue, wireless network is now accepted by most network users to reduce the employment of cables. Wireless access point is an important device for connecting the wired network with wireless network. This article will talk about the fundamental knowledge about wireless access point. What Is Wireless Access Point? Wireless access point (WAP) is also known as access point (AP). It is a hardware device used in a wireless local area network (WLAN) for data transmitting and receiving. An access point connects users to other users within the network and also serves as the point of interconnection between the WLAN and a fixed wire network. Basically, the working principle of wireless access point is to broadcast a wireless signal that computers can detect, then computers can link to the network without using any wires. According to different working modes, wireless access point can be divided into several categories. 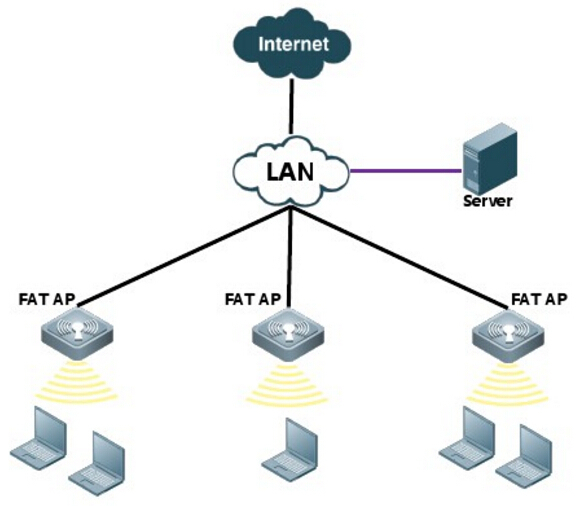 Fat access point is the standard type which is also named as autonomous access point. This device is independent to be separated from other network devices or fat access points. It can automatically manage the functions for wireless client devices, such as wireless authentication and encryption. It is enough to use the fat access point at home or small office. However, when wireless access point is required in large enterprise or college campus, fat access point is not an ideal solution. Thin access point, namely lightwave access point, may be a better choice with all the functions controlled in a central device, like a wireless switch or wireless LAN controller. Thus, all the settings can be configured automatically by central device in a remote location. Fit access point is the combination of both fat and thin access points. It provides the wireless encryption function and has a remote controller for management. Fit access point can also support the DHCP (dynamic host configuration protocol) relay to get IP address for the station. Wireless access point used indoors are comparatively smaller for easier installation and maintenance. Signals broadcast from indoor access points are stable and high-qualified. Wireless radiation is also weaker which makes the indoor device ideal for dense deployment. As for the outdoor application, access points are more solid to survive the harsh environment. Network signals are more stable with a bigger coverage. Point to point and point to multi-point network connections are widely used for outdoor application to link the networks among different locations. 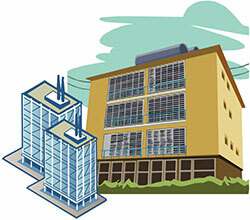 Multi-dwelling unit (MDU), namely multi-family residential, are the structures of housing where there are more than one living unit per location. MDU classification of housing has been considered as an important growth opportunity for communication services providers according to the population density and economics of scale. Generally speaking, there are two applications for MDU FTTx network deployments as “greenfield” and “brownfield”. 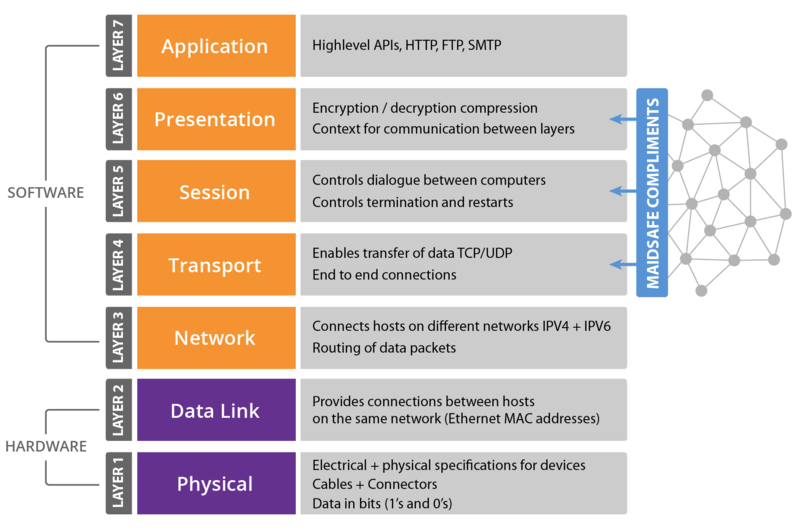 This post will introduce the basic information about MDU and its network building applications. In North America, MDUs can be classified into three construction versions of high-rise MDU, mid-rise MDU and low-rise MDU. Here will explain them one by one. This type of MDU refers to the large multi-story building like condo or apartment with more than ten floors and 128 living units using the internal residential entry. High-rise MDU is typically designed as vertical living style and planned for cabling access to the different stories and sections of the building thereby making sure that the FTTP network functions efficiently and reliably over high levels. Mid-rise (medium-rise) MDU is the leased or owned condo or apartment with up to 10 stories including 12 to 128 living units using the internal residential entry. For new mid-rise MDU, its fiber deployment is similar to the high-rise buildings. However, many old mid-rise MDUs are built as walk-ups and without provisions for new cabling networks. 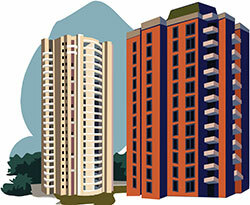 It is a challenge for these mid-rise residential buildings to find space for structured cabling. Low-rise MDU is usually known as condo, townhouse or apartment constructed in garden style or horizontal style. There is only up to 3 floors or stories and 12 living units inside the low-rise MDU with external residential entry. The difficulty level for cable deployment also depends on whether the building is newly constructed. As mentioned above, the oldness and newness of residential buildings will affect the difficulty degree of cable installations. These two types of architectures are also the basic applications for building MDU network. Greenfield means the newly-built housing communities consisting of many separate living units typically joined together in one or several buildings. However, brownfield refers to the MDU that already exists in a typical urban area. In a Brownfield application, a service provider must deliver fiber into the customer’s premises quickly, efficiently and securely. The ability to connect fibers as they are needed for new subscribers is best served using a simple “plug and play” approach. Thus, the splice storage should provide a demarcation point, such as a fiber demarcation box, equipped with industry standard connectors. As for greenfield application, a network operator could ideally place the fiber to every living unit during initial construction. Fiber from every unit may then be run back to central closet and spliced as required inside a closure. A box such as the fiber splice box is an optimal and low cost solution. In MDU network applications, service providers can use factory-terminated patch cords or fusion-spliced pigtails to connect fibers. Patch cords are efficient connectivity methods because no tools or splices are required in the field to make the termination. Their simple plug and play installation also minimizes the required skills for setting up the connection, which reduces installation time and labor costs. Fusion-spliced pigtails can alleviate the issues of cable management for massive patch cords and cable waste for long patch cords. However, the fusion splice machine is expensive and specialized training is required. The fusion splicer also requires electrical power in places like MDU hallways where power outlets aren’t readily available. The building of FTTx network in MDUs has become more and more popular around the world. Project installer should make proper connectivity plan according to different structures of MDUs. The complexity of deployment will also depends on whether the MDU is built in greenfield or brownfield. A successful network deployment in MDU is measured in many ways. Are You Familiar With Optical Switch? There are lots of fiber optical devices used for communication networks. And optical switch is the one transmitting light signals between different channels. If a light signal is propagated from one phone or computer to another, it may be required to move between different fiber paths. Under this condition, optical switch plays an important part as it can transfer the signal with a minimum loss of voice or data quality. With the growth of technologies, many new methods have been combined with optical switch to achieve higher speed performance. Today, let’s step into the world of optical switch and explore its secrets. Basically, there are two types of optical switches – OEO (optical-electrical-optical) switch and OOO (optical-optical-optical) switch. Network management functions of operating a network are available today using an optical switch with an electronic-based switching matrix. OEO switch receives the optical signal and converts it into electrical signal. Then it switches the signal into a different port and converts it back to optical signal for the network. By using an electronic fabric, OEO switch accomplishes bandwidth grooming and overcomes the network impairments. OOO switch or all-optical switch enables the managing and switching of optical signals without converting them into electronic signals. This is especially attractive to those carriers operating large offices where up to 80 percent of the traffic is expected to pass through the office on its way to locations around the globe. It receives the optical signal and switches it to a different port in the optical domain, then returns it back to the network as an optical signal. MEMS (micro electrical mechanical system) technology uses many moving mirrors to switch the signals by deflecting light waves from one port to another. There are two MEMS structures. 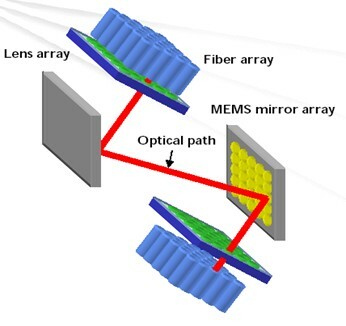 One is called 2D MEMS mirror, and another is 3D MEMS mirror. 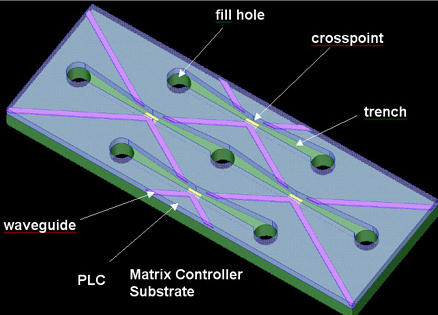 3D MEMS based optical switch is more widely used in the industry. 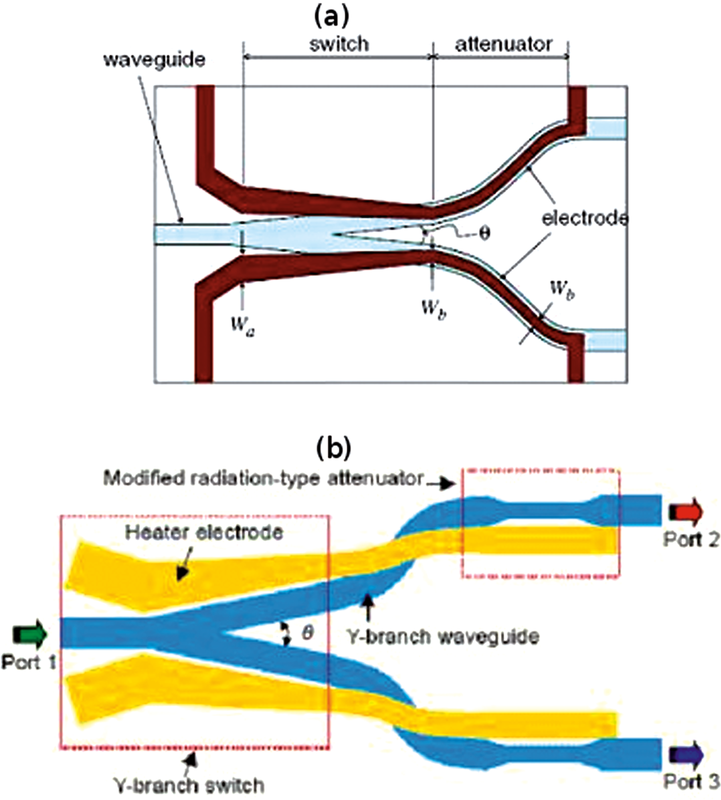 Following figure shows the operation process of the MEMS switching. Liquid crystal technology employs the polarization effects of light in liquid crystals for light switching. 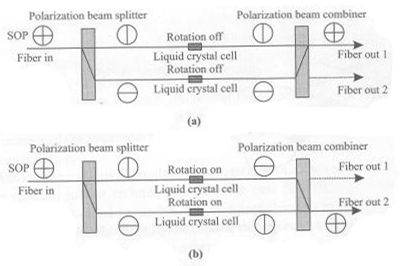 At first, the light is filtered through polarization beam splitter to be separated into two or more paths. Then the light is put through a liquid crystal where its polarization property may be changed. At last, the light comes into the polarization beam combiner to be steered into the output port. And the output port is decided by the new polarization property of light. Bubble based switch can use air bubbles and micro trenches aligned vertically and horizontally to switch the light. When there is no need for switching, the light can pass through the trenches uninterrupted. This technology has the benefits of low cost and fast switching time. Thermo-optic switch will send light down a wave guard. The light is then split into different wave guards. If a switching command is issued, one of the wave guard arms is heated and the light within the wave guard will change its optical path length. Then the light is recombined and the path lengths of the lights are measured. If the lengths are different then the beam will be switched into one output port. If they are the same, the beam will be switched into another port. Optical switches can be applied to various applications. In high speed networks, switches for this function are usually used within optical cross-connects to handle large amount of traffic. Another application is for the protection switching. If a fiber fails, the switch allows the signal to be rerouted to another fiber before the problem occurs. 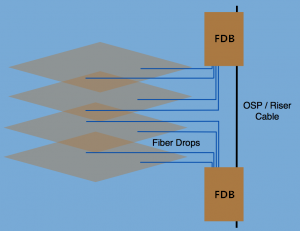 Also, the OADM (optical add-drop multiplexer) will use some optical switches to convert signals from a DWDM stream allowing carriers to selectively remove some wavelengths from a signal. Optical switch is an important device that transfers light signals into different channels. Based on the original OOO type and OEO type optical switches, many new technologies have been brought in, which ensures the high performance of optical switches. With growing demands for higher data bandwidth, the future of optical switch is bright. Simplex, half duplex and full duplex are three kinds of communication channels in telecommunications and computer networking. These communication channels provide pathways to convey information. A communication channel can be either a physical transmission medium or a logical connection over a multiplexed medium. The physical transmission medium refers to the material substance that can propagate energy waves, such as wires in data communication. And the logical connection usually refers to the circuit switched connection or packet-mode virtual circuit connection, such as a radio channel. Thanks to the help of communication channels, information can be transmitted without obstruction. A brief introduction about three communication channel types will be given in this article. A simplex communication channel only sends information in one direction. For example, a radio station usually sends signals to the audience but never receives signals from them, thus a radio station is a simplex channel. It is also common to use simplex channel in fiber optic communication. One strand is used for transmitting signals and the other is for receiving signals. But this might not be obvious because the pair of fiber strands are often combined to one cable. The good part of simplex mode is that its entire bandwidth can be used during the transmission. In half duplex mode, data can be transmitted in both directions on a signal carrier except not at the same time. At a certain point, it is actually a simplex channel whose transmission direction can be switched. Walkie-talkie is a typical half duplex device. It has a “push-to-talk” button which can be used to turn on the transmitter but turn off the receiver. Therefore, once you push the button, you cannot hear the person you are talking to but your partner can hear you. An advantage of half-duplex is that the single track is cheaper than the double tracks. A full duplex communication channel is able to transmit data in both directions on a signal carrier at the same time. It is constructed as a pair of simplex links that allows bidirectional simultaneous transmission. Take telephone as an example, people at both ends of a call can speak and be heard by each other at the same time because there are two communication paths between them. Thus, using the full duplex mode can greatly increase the efficiency of communication. A simplex fiber optic cable has only one tight-buffered fiber inside cable jacket for one-way data transmission. The aramid yarn and protective jacket enable the cable to be connected and crimped to a mechanical connector. It can be used for both single-mode and multimode fiber optic cables. For instance, single-mode simplex fiber optic cable is suitable for networks that require data to be transmitted in one direction over long distance. Different from simplex fiber optic cable, the duplex one has two fibers constructed in a zipcord style. It is often used for duplex communication between devices to transmit and receive signals simultaneously. The duplex fiber optic cable is required for all sorts of applications, such as workstations, fiber switches and servers, fiber modems and so on. And single-mode or multimode cable is also available with duplex cables. The concept of communication channel is important for understanding the operation of networking. Simplex, half duplex and full duplex are three modes of communication channels. Each of them can be deployed for different applications. 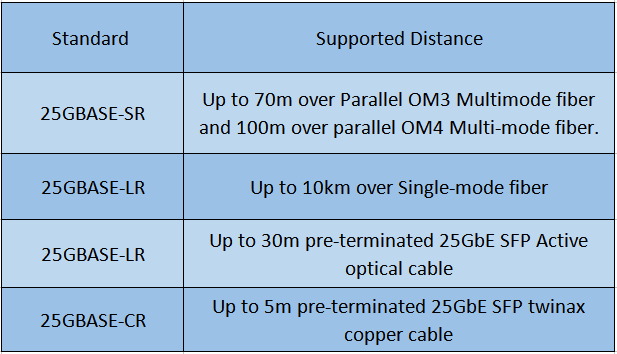 It is more cost-effective to choose the right fiber optic cable according to its channel mode. Since the customers have demanded for a more intensive bandwidth, the telecommunication carriers must seek to offer a matured network convergence and enable the revolution of consumer media device interaction. Hence, the emergence of FTTx technology is significant for people all over the world. 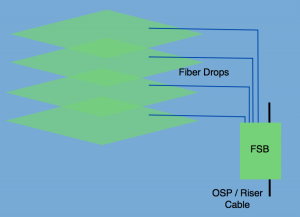 FTTx, also called as fiber to the x, is a collective term for any broadband network architecture using optical fiber to provide all or part of the local loop used for last mile telecommunications. With different network destinations, FTTx can be categorized into several terminologies, such as FTTH, FTTN, FTTC, FTTB, FTTP, etc. The following parts will introduce the above terms at length. FTTx is commonly associated with residential FTTH (fiber to the home) services, and FTTH is certainly one of the fastest growing applications worldwide. In an FTTH deployment, optical cabling terminates at the boundary of the living space so as to reach the individual home and business office where families and officers can both utilize the network in an easier way. In a FTTN (fiber to the node) deployment, the optical fiber terminates in a cabinet which may be as much as a few miles from the customer premises. And the final connection from street cabinet to customer premises usually uses copper. FTTN is often an interim step toward full FTTH and is typically used to deliver advanced triple-play telecommunications services. In a FTTC (fiber to the curb) deployment, optical cabling usually terminates within 300 yards of the customer premises. Fiber cables are installed or utilized along the roadside from the central office to home or office. Using the FTTC technique, the last connection between the curb and home or office can use the coaxial cable. It replaces the old telephone service and enables the different communication services through a single line. 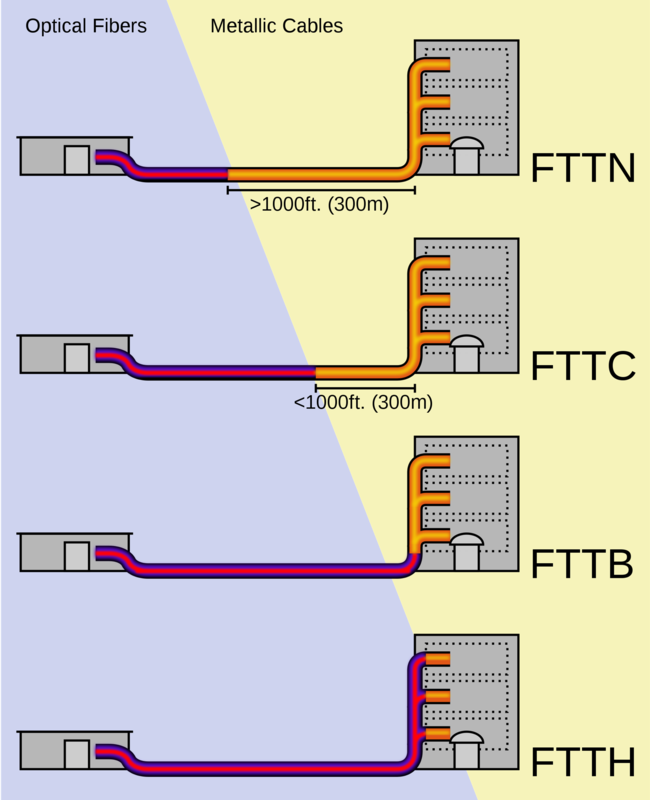 In a FTTB (fiber to the building) deployment, optical cabling terminates at the buildings. Unlike FTTH which runs the fiber inside the subscriber’s apartment unit, FTTB only reaches the apartment building’s electrical room. The signal is conveyed to the final distance using any non-optical means, including twisted pair, coaxial cable, wireless, or power line communication. FTTB applies the dedicated access, thus the client can conveniently enjoy the 24-hour high speed Internet by installing a network card on the computer. FTTP (fiber to the premise) is a North American term used to include both FTTH and FTTB deployments. Optical fiber is used for an optical distribution network from the central office all the way to the premises occupied by the subscriber. Since the optical fiber cable can provide a higher bandwidth than copper cable over the last kilometer, operators usually use FTTP to provide voice, video and data services. With its high bandwidth potential, FTTx has been closely coupled with triple play of voice, video and data services. And the world has now evolved beyond triple play to a converged multi-play services environment with a high bandwidth requirement. Applications like IPTV, VOIP, RF video, interactive online gaming, security, Internet web hosting, traditional Internet and even smart grid or smart home are widely used in FTTx network. FTTx technology plays an important part in providing higher bandwidth for global networks. According to different network architectures, FTTx is divided into FTTH, FTTN, FTTC, FTTB, FTTP, etc. FS.COM provides FTTx solutions and tutorials for your project, please visit FS.COM for more information.